We are a company that offers high quality power adapter. Our products will give you the best charging experience. It must be a best choice for your surface. 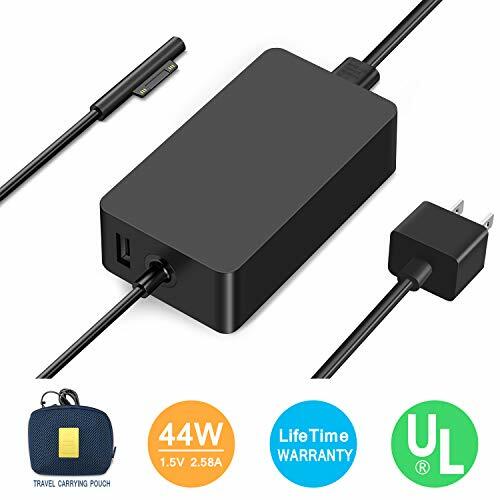 44W 15V 2.58a power supply is designed to match your Microsoft Surface Pro 6, Surface Pro 4, Surface Pro 5, Surface Pro 3, Surface Pro, surface Laptop 2, Surface Laptop, surface go & surface Book. Bestland 44W Power Supply quickly recharges the battery and the USB port allows you to charge another device such as your phone at the same time. If you have any questions about this product by Ostrich, contact us by completing and submitting the form below. If you are looking for a specif part number, please include it with your message.